Please use a bird or birds on your card and that's it, any kind you like. Here's my rather simple take on the Winter Wonderland challenge this week - Victorian Christmas. 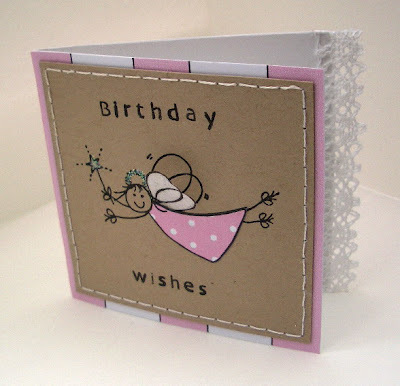 Well this is a new one on me - but I am still pretty new to the cardmaking game! 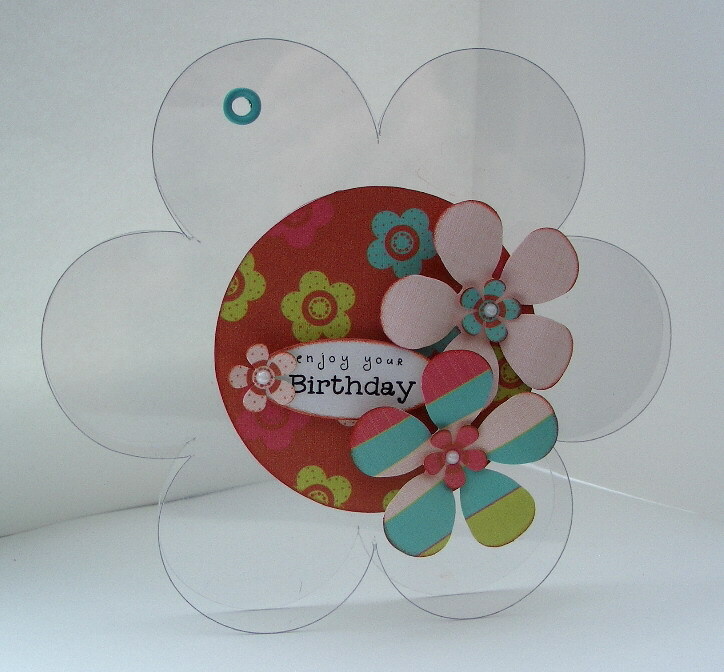 A hinged card, I saw one over on Peri's blog and just had to have a go. So much fun to make. The papers are from Funky Hand - Shabby Saturday. 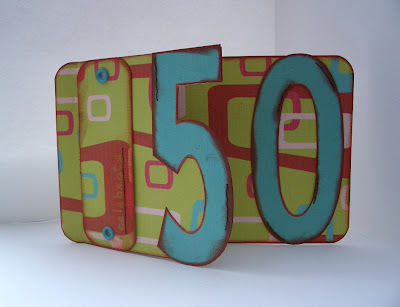 As you can see I'm in a funky mood today hoping you'll all join in with my Get Funky - Girls, Girls Girls challenge, still a week or so to go, it closes on 31st March, if you win you get a £20 voucher to spend on Funky Hand deliciousness! If you need some Funky Hand papers to enter don't forget the freebie download available HERE. Mothers Day for me meant more crafting time. 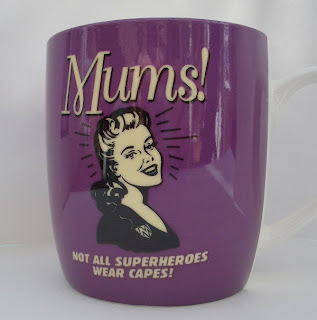 No cooking or washing up for a whole day, and plenty of tea in my mothers day pressie! All that time and just one card made. Why doesn't a simple card mean a quick card? I spent hours on this! 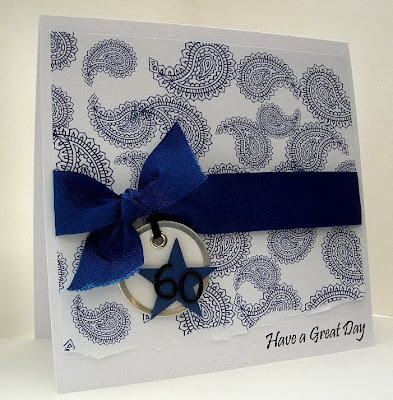 I'm entering this card in this week's DCM challenge, set by my very lovely blogging buddy Lynda. 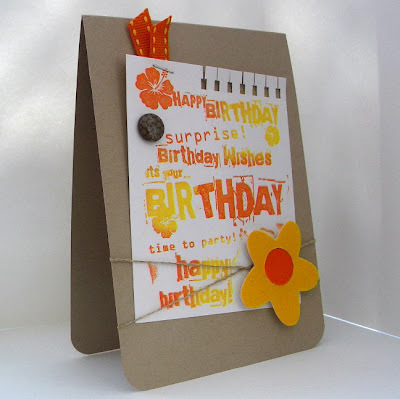 Please use daffodils on your cards or maybe make a card inspired in some way by those sunny yellow flowers. My first mini card make. 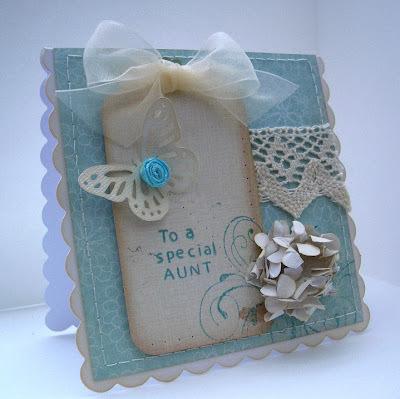 I used scraps of paper, card and lace for this one. The stamp is from Funstamps, I paper pieced it and used tissue paper for the wings. 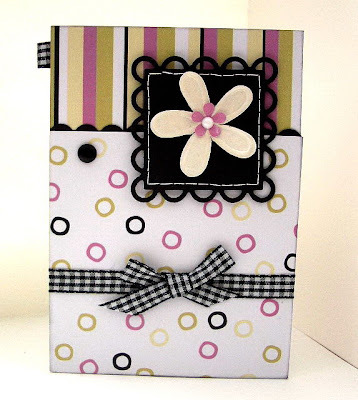 Such a fun way to use up your scraps! 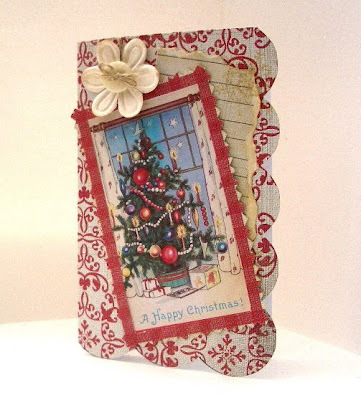 I'm entering this one in the Cards blog mini card challenge! 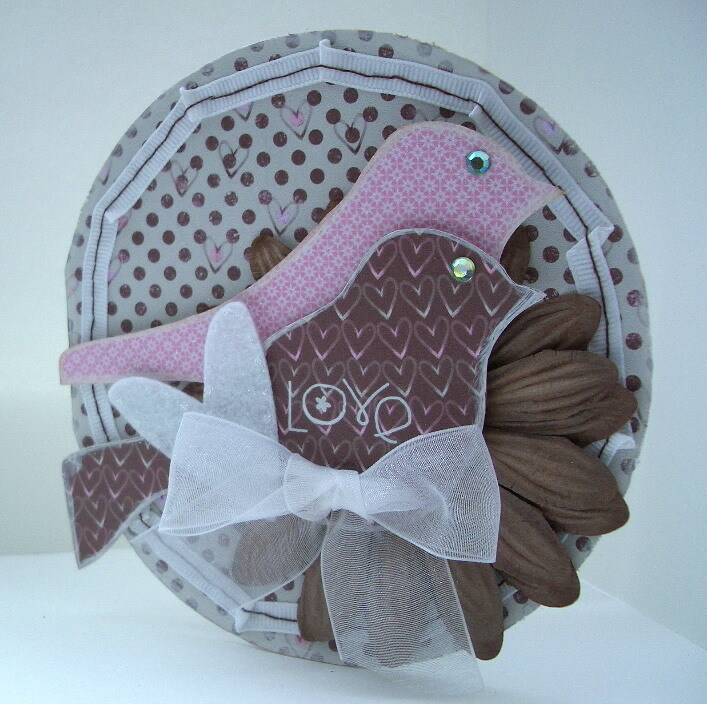 So pleased that my eyelet card (see last post) made it on to the gallery last week. Must give a big thanks to Sally for the link to Cards. A new month means a new Get Funky challenge. This months challenge has been set by me! Let's face it we all like making girlie cards don’t we and with Mother’s Day on 14th March it’s a perfect opportunity to get out the Funky Hand papers and join in the fun. 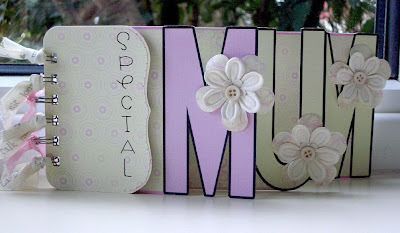 It doesn’t have to be a Mother’s Day card though, you can make any girlie card or project you like, as long as it has at least one Funky Hand paper or extra included on it you can be up for the £20.00 prize voucher. Would love to see you join in with us this month.